They call themselves "Captains of the Sands," a gang of orphans and runaways who live by their wits and daring in the torrid slums and sleazy back alleys of Bahia. Led by fifteen-year-old "Bullet," the band—including a crafty liar named "Legless," the intellectual "Professor," and the sexually precocious "Cat"—pulls off heists and escapades against the right and privileged of Brazil. But when a public outcry demands the capture of the "little criminals," the fate of these children becomes a poignant, intensely moving drama of love and freedom in a shackled land. 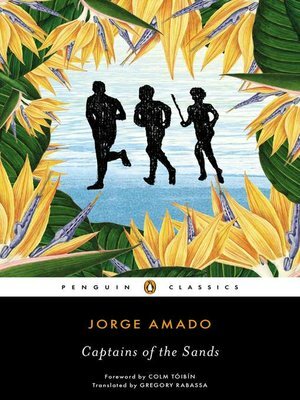 Captains of the Sands captures the rich culture, vivid emotions, and wild landscape of Bahia with penetrating authenticity and brilliantly displays the genius of Brazil's most acclaimed author.